You have spent years perfecting your PeopleSoft Ben Admin module which may include multiple customizations. Yet your users want a simpler user interface to get through one of the most confusing times of an employee’s year. 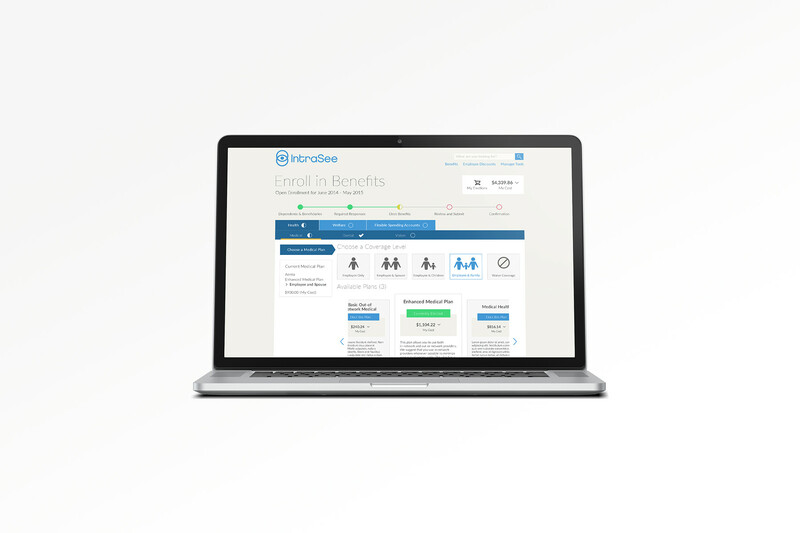 IntraSee Benefits Enrollment Transact is a layer on top of Ben Admin that takes the complexity out of benefits enrollment and delivers it on any device. It doesn’t replace Ben Admin, it leverages it, and does what IntraSee does best: simplifies the user experience. From a 3-click Quick Enroll feature to auto-save functionality, Benefits Enrollment Transact will save your support dollars, remove confusion, and prevent enrollment mistakes. All the while saving everyone time, money and lots of stress!